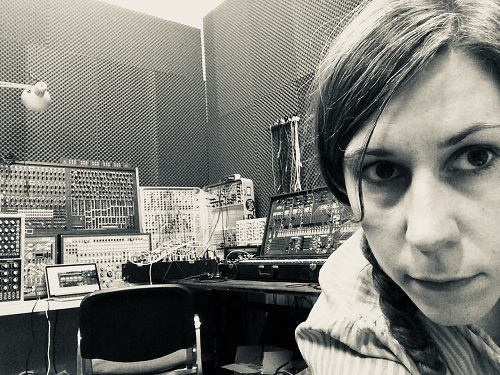 Tsembla is otherwise known as Marja Ahti, a Swedish-Finnish artist who uses a wide range of instruments, electronics, objects and manipulated samples. Tsembla’s music revolves around twisted melodies, abstract voices and mutant textures. I’m a composer, performer or sound artist, depending how you want to look at these boxes. I live in Turku, Finland, my home for the last ten years. I’ve made most of my music under the name Tsembla. I’m working on a new album that I got started earlier this year when I was in residency at EMS in Stockholm. I’m working with field recordings, concrete sounds and synthesizers, trying to blend these into something living. My approach to sound has gone through some changes the past years, but what I’ve been trying to find all the time is a core of strangeness in familiar sounds; or the other way around. I like paradoxes and dissolving what seem like opposites. I’m especially interested in how you can make sounds of the so called natural world meet with sounds that are made with electricity in a sort of cross-dressing ritual. When I work with synthesizers I often find myself working as much with them as against them, going for sounds that might find a reference outside the frame of synthesizer sound, not sounding stereotypically like themselves. I like to mix it up, have many sources rather than one. Any particular equipment you have got your eye on in here? So far I have worked mostly with the ARP 2600, overdubbing the filter resonance in different pitches. I also found some interesting timbres using the Yamaha 40M synthesizer. Just doing really simple stuff and listening to the sounds. What do you think of Rotterdam? As a city and as a place to work? I’ve been staying with friends here and even got to borrow a bicycle, which is a good way to see a city. It seems very nice here, relaxed and diverse. Strangers talk to you in the street here more than in Finland!